a versatile group with brilliant music to suit all tastes! WHAT YOU THINK! SEE YOU THERE! We think you're going to like our brand new website as much as we do - AshbaCrew and MegaMovement our stable mates have joined us there on the same website too. Hear music from all three as soon as you visit. It's much easier to listen to and buy Me and You's albums. Much more content on many more pages including a full FAQ, dating and adult contacts and more! If you prefer to keep using and buying from this the original website, please feel free as it will remain! However when new content becomes available such as new music, new pages and new information, only the new website will be updated. IF ANY LINKS ARE NOT WORKING HERE, CHECKOUT OUR BRAND NEW WEBSITE! Please bookmark the new website. Find tracks you'll love quickly and easily! Thanks for checking us out. Check back with us regularly as we're constantly updating this site as you may have noticed. NEWS!! If you've visited us before, PLEASE READ BELOW AS THERE'S NEW INFORMATION AND NEW WAYS TO HELP YOU FIND STUFF THAT SUITS YOUR TASTES QUICKLY AND EASILY! Just look at the genre types that suits your tastes and you will see exactly which albums and tracks to head for. It's as simple as that! HOWEVER THESE ARE JUST SUGGESTIONS, WE HOPE YOU WILL LISTEN TO ALL TRACKS ON ALL ALBUMS AS THEY'RE ALL BRILLIANT AND THERE ARE NO FILLER TRACKS! EACH TRACK HAS PERFECTLY CRAFTED AND TAKES YOU ON A JOURNEY! AFTER ALL YOU CAN'T KNOW IF YOU LIKE SOMETHING IF YOU'VE NEVER HEARD IT! IF YOU FIND TRACKS YOU LIKE YOU'RE BOUND TO LIKE OTHERS! The albums, which are shown below, have also been numbered to assist you! 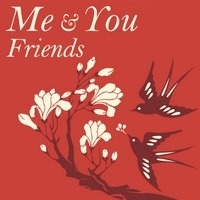 Welcome to Me and You's website - hear and buy! We hope very much you'll find some songs you really like if not love! The sound and feel of each album created by this Jamaican vocal group is often very different from the next so if you find you don't like a particular album, listen to the others as there is something to meet all tastes! If you like catchy feel-good music with soulful vocals, you won't be disappointed. Listening is extremely quick and easy to do - simply clicking a particular album's link transfers you straight to iTunes where you can hear a 30 second samples on the album! 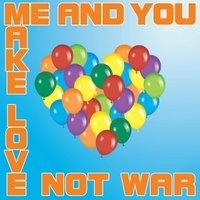 Visit the Me and You page on iTunes' new website to see and explore all their albums together. If you're short of time, listen to 2 or 3 tracks from each album to give you a flavor of each, if that whets your appetite for a particular album go back to hear it in full. You might find tracks you like even more than those you've already heard! One album can be very different to the next so please bear that in mind when you're listening to an album that may not jump out at you at first, just move on to the next album. As there are often tracks of different genres and types on each album it's probably best to listen to all the tracks on an album before moving on to make sure you're not missing out on any hidden gems there you might find you love! Bookmark these 3 pages, come back and let us take you on a journey of adventure through all 12 albums, click the link at the bottom of this list of albums! 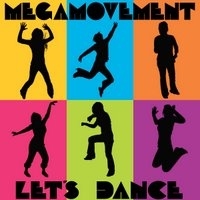 MegaMovement has 2 albums and AshbaCrew four. Remember all albums only have 10 tracks and take as little as 5 minutes to listen to. Bands that have backed Me and You include the best in the world such as Bob Marley's Wailers Band, Sly & Robbie, The Upsetters, The Aggrovators, The Revolutionaries, Skin, Flesh & Bones, Roots Radics, We The People, Chinna's High Times Band, Soul Syndicate, Sound Dimension, Studio One Band, Firehouse Crew and Mafia & Fluxy. Producers they've worked with include the legendary King Tubby, Prince Jammy, Sir Coxsone JA and UK, Alton Ellis, Dennis Brown, Junior Delgado, Castro Brown, (Bobby) Digital B, Steely & Clevie, Dennis Bovell, Paul Weller and Mad Professor. Musicians include Lloyd Parks, Earl 'Chinna' Smith, Dean Fraser, Danny Browne, Pablove Black, Ruddy Thomas and Leroy 'Horsemouth' Wallace. Artists they have worked with include Dennis Brown, Junior Delgado, Alton Ellis, Sugar Minott, Shirely McLean, Al Campbell and Devon Russell. (See Friends album below) Beres Hammond and Pam Hall have sung backing vocals on hit cover versions of their songs. How to find your favorite music on this website! Below in the numbered headings we've tried to give you some pointers as to where you might start listening to Me and You's music based on your musical tastes. With some tracks it can only be an approximation but I hope you find it useful. The number in brackets after the name of an album refers to where you can find that album in the list below. Or if you've got time and would just like to dive in and explore all of their albums together in your own way, visit the Me and You page on iTunes' new website! ***Remember this group are surprising in their variety, versatility and consistency of quality with captivating male and female lead vocals. Listening to a selection of their output doesn't do their talent justice and you're bound to miss tracks you would love. To get a good overview of their capabilities you really NEED TO LISTEN TO ALL ALBUMS - and the same goes for AshbaCrew and MegaMovement. We guarantee you will be pleasantly surprised! It only takes 30 seconds per track and 5 minutes per album as all albums have 10 tracks! Once you've done that feel free to contact us and tell us what you think. 1. Fans of R&B, Soul, gospel, pop and ballads etc! Check out these tracks that have a r&b, soul or ballad flavor! 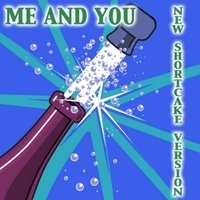 New Shortcake album (6) – I Miss You, Adversity Remix, Sitting in my Car (Remix, Going Back (AshbaCrew Rumble Remix), Jah Always Be Around. Live My Life album (7) – No Feelings, Save The Children (featuring Junior), I Wonder, Not Willing (Uni Remix 2), Can’t Live Without You. Friends (16) – a wicked version of Jerry Butler's I Dig You (featuring Alton Ellis), Delfonics' La La La (featuring Alton Ellis), You Girl, & You Know (both featuring Al Campbell), My Girl (Trouble Remix) (Featuring Temptations). For wicked unique dub/house/roots/r&b instrumentals, check out AshbaCrew's website! The album Welcome to my Rumble 1 is a good place to start and there's more! Like Me and You only 10 tracks to an album and only 30 seconds needed to listen to one track! Their music is definitely worth a listen whether or not you like any of Me and You's stuff! 2. Roots, DJ, MC, dub and hip-hop/rap lovers! For those who specialize in roots, dj, dub, hip-hop and rap step this way for some food for thought and hopefully a little inspiration. In addition, we have included some songs that have roots rhythms although the lyrics may be on various subjects. Remember this band tends to put things together in new and interesting ways. Keep an open mind while you check these out! New Shortcake Version album (13) - .Instrumental versions of tracks on New Shortcake and Make Love Not War albums. REMEMBER ALL ALBUMS ON THE 3 SITES HAVE NO MORE THAN 10 TRACKS EACH SO TAKES 5 MINUTES OR LESS TO LISTEN TO ONE! 3. Fans of love songs! If you're into love songs and lovers rock, this is heaven! You're spoilt for choice as all albums have some. Checkout these 30 second 10 track albums! Loads of music for you to be hugged, mesmerized, cared for and moved by! Our favorite love, personal improvement and inspirational songs give us a break cocooned away on a tropical island paradise from all the turmoil, stress, wars, terrorism, global warming, financial problems and everything else going in the world! 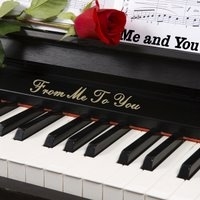 If you have a partner, you can manifest the love in the songs in every day life, you can also sing them to each other:) If you're single and want a partner, you can always pretend and dream:) If you know who that special person is and you want to woo them, you could always play them some love songs from here. For others who don't have a partner, the idea of being in love is good enough! Whatever your situation is, we hope you find some great love songs here! If you're looking for love, try Frennz a dating site and AdultFrennz for adult contact. 16 excellent albums out now! These albums have just been released and there's more to come. 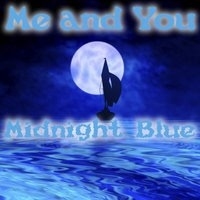 Visit the Me and You page on iTunes' new website to see and explore all their albums together. This unique and innovative vocal group's music is very difficult to categorize as it covers and fuses a wide range of genres including r&b, dancehall, pop, house, dub, soca, ska and reggae! And even when they do reggae, it doesn't sound like any other group or artist. They have a truly unique sound all their own which is very captivating and uplifting. 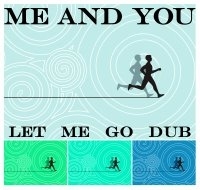 Fans don't like their favorite Me and You tracks they love them! Have a listen to their catalog and see if you agree. Underneath the title of each album is an approximation as to the genres you will hear on that album. Click the iTunes links below, there's some great music waiting to be heard that you can own and listen to whenever you want! 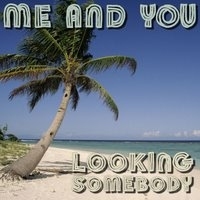 Mostly catchy uptempo songs of summer and sun! It's fresh and its fun! Includes the moody excellent protest song Save The Children bemoaning global child poverty featuring the highly respected Junior of 'Mama Used To Say' fame. The backing vocals especially towards the end is really reminiscent of Earth Wind and Fire. In Japan and the Far East this wonderful love songs album is sold under the r&b/soul category. That is a testament to Me and You's trademark soulful delivery, here with superb reggae support by one of the best and most prolific Jamaican groups - the legendary We The People band. Me and You fans will recognize This Love, You Never Know, their versions of La La La and Ooh Baby Baby amongst others. Classic stuff produced by Dennis Brown & Castro Brown and backed by Jamaica's We The People band. Arranged by Lloyd Parks, Earl Chinna Smith and Dean Fraser. This album focuses mostly on social commentary airing issues such as commercialism in Money Can't Buy Happiness, racism in Midnight Blue, selfishness in Lovers Hate and the religious theme of Give Praise To Jah. There's also an excellent dj version of Give Praise called Spa Wid Me and a dub of Sun Won't Shine. Backed by The Studio One band from Coxsone Dodd's Studio One in Jamaica, this album has a great live feel to it. 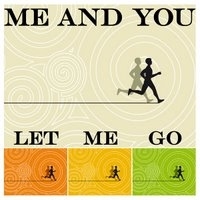 Visit the Me and You page on iTunes' new website to see and explore all their albums together! IF YOU LIKE WHAT YOU HEAR AND BECOME A FAN WHICH WE HOPE YOU WILL, SUPPPORT THEM AND BUY THEIR MUSIC! ONLY 99c/79p PER TRACK (US/UK - OTHER CURRENCIES ALSO SUPPORTED) PLEASE HELP US SPREAD THE WORD AS MUCH AS YOU CAN BY EMAIL, BLOGS, GROUPS, FORUMS, MYSPACE, FACEBOOK, BEBO, ITUNES IMIXES, DELICIOUS, REDDIT, DIGG, PROPELLAPAGE WHATEVER! LINKS TO THIS PAGE WOULD BE PARTICULARLY APPRECIATED - Thanx! If you like what you hear, bookmark this page and check back here often as there's more to come. 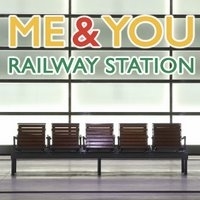 Me and You stablemates include AshbaCrew with their unique catchy blend of garage, soulful house, breakbeat, roots, r&b, hip-hop and dub! 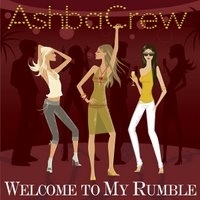 Click the iTunes link to listen and buy Welcome To My Rumble 1 and 2! Check out AshbaCrew.com their website! Two albums of wicked instrumentals of popular songs with short dub versions such as Downtown, Let's Dance, Oh Not My Baby and more visit their website! Find love or adult contacts now! If you're looking for love, try Frennz a dating site and AdultFrennz for adult contact! With almost 1.5million profiles on them you're likely to find that special person. Two similar additional sites dedicated to people of color now available - BlackFrennz and AdultBlackFrennz! If you're looking for love songs you've come to the right place, there's plenty to choose from here. If you're looking for love why not try the Frennz family of sites! Frennz is for friendship and dating, AdultFrennz for adult contacts! For those seeking people of color - BlackFrennz and AdultBlackFrennz are now available! With 4 million members you're bound to find that special person fast! And they're all FREE! Buy t-shirts, clothes, bags and much more! Buy t-shirts, gifts, calendars, bags and much much more, choose from over 400 products all emblazoned with our four cool logos! Check them out now! Promote your webpage for free and advertise! PropellaPage.com is a hot brand new unique social bookmarking website dedicated to marketing and promoting and advertising your webpages and websites. Share your MySpace, Facebook or Bebo page with the world there for free! You can post websites, tag and rate them. It wants to be the first place people on the web go to post and search for the very latest websites, those that are so sizzling hot they are not even on search engines yet! Try it today! See the latest websites from our partners!